Chromastics Hair Color is a classic small American business success story. 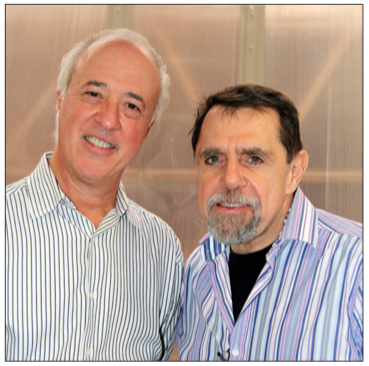 This company was founded by Tom Dispenza and Peter Ciotti in 2004, two very successful salon industry professionals. After Ciotti attended one of Dispenza’s hair color classes, they had a lengthy conversation. Ciotti asked “Why haven’t you launched your own hair color company?” Dispenza said, “Peter, that has always been my dream!” So, Ciotti then said, “Let’s work together to make this dream come true!” They pooled every penny and resource they had to start a uniquely new and different American hair color company. Chromastics Is Designed With Organic Chemistry: Organic hair color chemistry is based on a combination of carbon, hydrogen, oxygen and nitrogen. These are the organic ingredients that are combined to create every shade of Chromastics Hair Color. 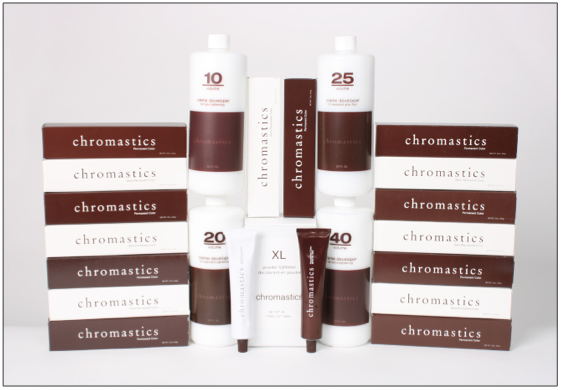 Professional Chromastics Hair Color Products: Chromastics offers permanent hair color, liquid toners and refreshers. When Chromastics was launched in 2004, the response was very positive. Hair colorists immediately saw the difference of the way the hair color performed. They saw the difference in the reduced “fade-age” that was not present as in other companies and the integrity of the hair. Many of their hair colorists said, “You gave us a great product, but we don’t want to use just any shampoo or conditioner.” Their hair colorists asked them to create a compatible hair care system to help maintain the integrity of their clients’ hair color services. 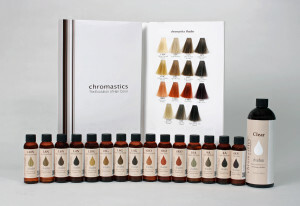 As a result, Chromastics now offers their special Tri-Organic Complex Haircare System. This is a simple complex of certified 100% organic green tea extract, aloe vera and ginkgo biloba customized with extracts of sunflower, wheat, rice, macadamia and more. These ingredients were selected for their special moisturizing and anti-oxidant characteristics. These ingredients are certified by the USDA, so they are food grade. The Tri-Organic Complex Haircare System is paraben free, salt free, sulfate free and it contains no aggressive or toxic ingredients. They are launching their new Chromastics Shades deposit only hair color system designed for toning, glazing, refreshing and corrective hair color treatments. Second To None Education: There is a constant flow of complete basic and advanced color educational opportunities available for the professional hair colorist. There is a new technical release of some variety shared every few weeks. It can be a new video, a technique sheet, a formulary of new hair color combinations, a makeover or a feature about one of our salons and hair colorists. The Chromastics Hair Color team visits as many salons as possible to hold many “mini” hands-on workshop seminars across the country. These hands-on sessions are often held with small groups of only 10 hair colorists, so each person gets personal time and attention. Chromastics’ regional distributors also regularly hold local hair color sessions to keep their affiliated colorists updated and informed with current services, products, trends and information. Chromastics Vision: Their vision remains very consistent for both the short and long term. Chromastics offers superb quality technical and creative educational opportunities that are easy to understand without any fluff or hype. Chromastics uses formulas, techniques and products that have long-term usability. They offer products that the salons and independent hair designers can afford with products that are easy to learn and use. They continually work to raise the level of understanding and awareness for both the professional hair colorist and the consumer. Chromastics always provides real usable information at workshops and through their toll-free hotline telephone support. ￼don’t want to merely be the hair color applicator. They want to artistically create beautiful haircolor solutions for their clients. Most competitive companies have well over 100 tubes of hair color that are already pre-blended. All the hairdressers need to do is go into the dispensary, open up a box, pour in a required amount of the hair color and an amount of the developer … and there it is. With Chromastics, you can still do that. However, if the hair colorist really wants to artistically tweak it to make it a very specialized and unique formula, they can easily do that with Chromastics. Chromastics Is The Evolution Of Hair Color: Most traditional beautycare companies grow their brands by increasing the number of products and the number of SKU’s. Chromastics grows by educating the professional hair colorist with advanced and superior information. They teach hair colorists how to get better than ever results, using fewer and less costly products. The Chromastics hair colorist custom designs the perfect color formulation for each client. Salon owners and hair colorists have the special advantage of knowing that with Chromastics, they can do much more than only replicate any hair color shade they or their client wants. They also know that no one will be able to duplicate their work, because they have created the unique formula. Chromastics is particularly beneficial for the independent hairstylist and the small salon owner. Because of the economic advantages, this is a distinctively different small hair color system that is completely intermixable to consistently achieve amazing results. Chromastics is very cost efficient; costing less than most other major brands. It requires a smaller investment with less inventory. Chromastics Opportunities: Chromastics is rapidly growing across North America, while always looking to partner with successful regional distributors, salons, educators and Master Hair Colorists. They look to grow internationally in the future. ￼Create Your Own Evolution! Ciotti describes their slogan noting, “Create your own evolution! We were working with innovative, creative people in Chicago. 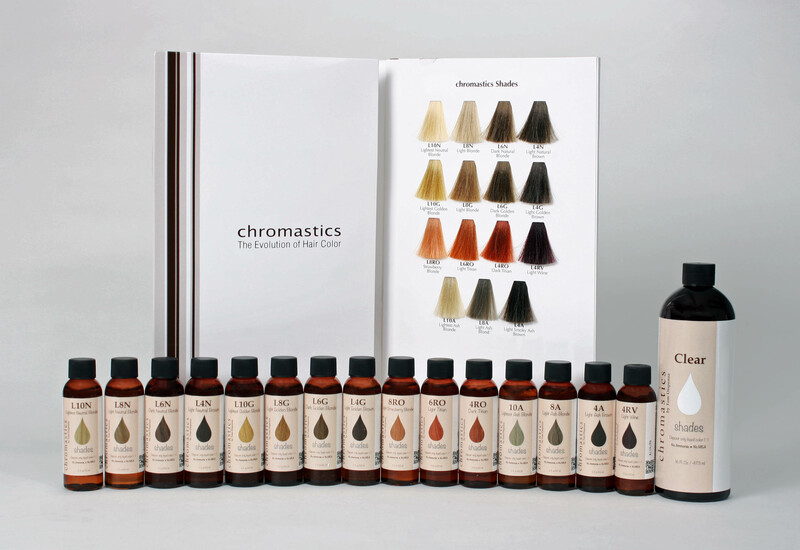 Chromastics was initially started as ‘The evolution of hair color’. As we progressed into development of the supportive retail product lines, we decided let’s go to ‘Create your own evolution!’ This means that with a minimal amount of products, you are easily able to blend them together to make multiple customized formulas. The hairdresser is now capable of evolving their haircolor formulas into something they have only dreamt about before.